In the 15th century during the reign of the Inca, elite women continued to dominate the chicha brewing trade and also widely consumed the beverage. For more information of what chicha is please see the previous post on Wari brewing women. Chicha was a ‘fundamental part of the exchanges between ruler and ruled’ according to Jane E. Mangan. In this period young girls between the ages of eight and ten were selected by Incan representatives from all over the realm to serve in acllawasi, or houses of the Chosen Women. After service to the acllawasi, women emerged experts in brewing chicha, among other critical tasks in their society. Francis Hayashida argued that (these women), ‘made cloth and also brewed the massive quantities of maize beer consumed and sacrificed at state-sponsored feasts and ceremonies’. 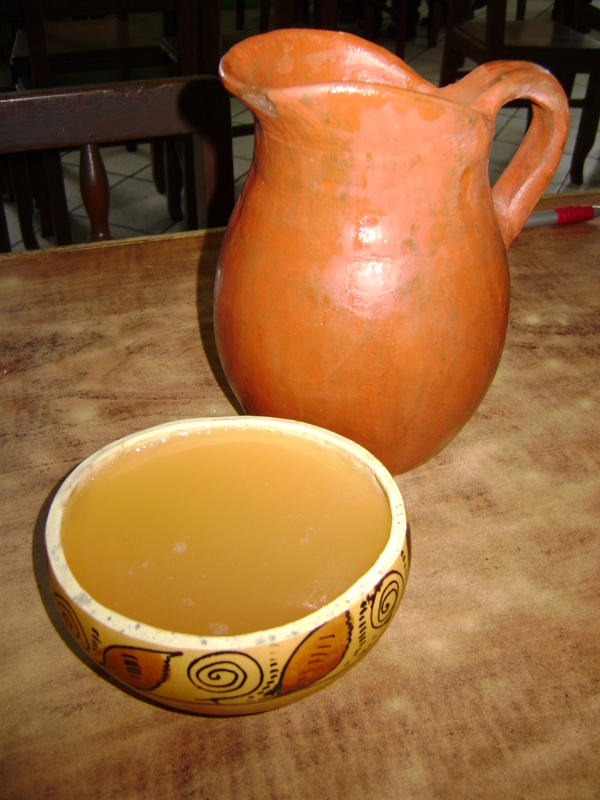 Today chicha is brewed primarily by women, though there is certainly evidence of men making the beverage at various points in history- for example, men are depicted as brewing it in Moche and Chimú artwork. Jane E. Mangan, Transatlantic Obligations: Creating the Bonds of Family in Conquest-Era Peru, Ebook. Susan Kellog, Weaving the Past: A History of Latin America’s Indigenous Women from the Prehispanic Period to the Present, p.50. Frances Hayashida, ‘Chicha Histories: Pre-Hispanic Brewing in the Andes and the Use of Ethnographic and Historical Analogues’, in Drink, Power, and Society in the Andes, p.235.